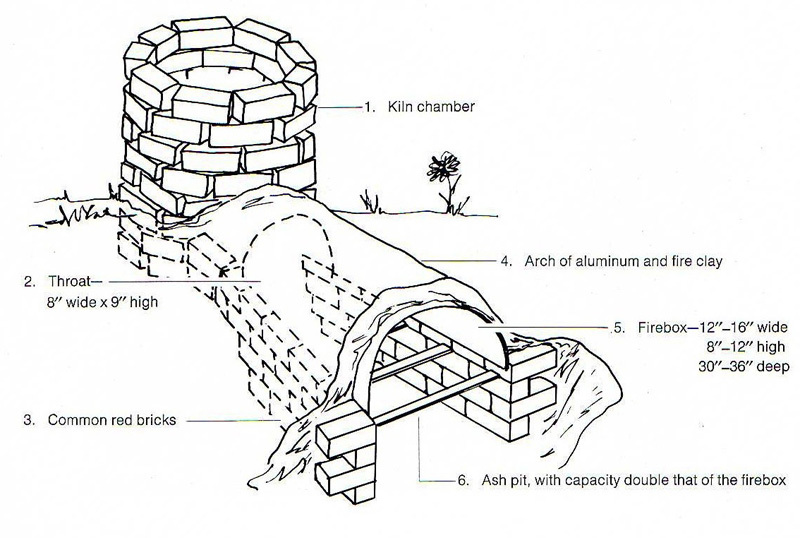 I found your website looking for plans to build a kiln. I live in Alice Springs in Australia (the desert) and an old Aborginal lady, celebrated ceramicist called Patsy Morton, has moved back out bush to live on her country. She wants a wood fired kiln – she used to have one, but someone stole the bricks. 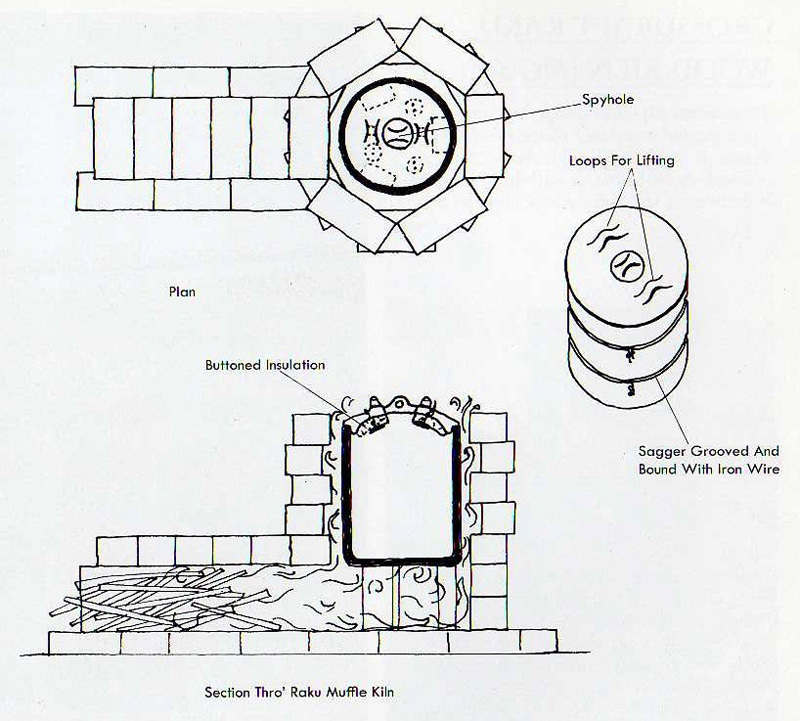 Your website says there are simple Raku kilns that can be built – would you have plans for one – I wouldn’t be confident building anything more than a very simple kiln because I don’t have much experience. Do you need fire proof bricks and mortor? Many thanks for your interest in my website. My wood Raku kiln is built with heavy bricks and mortar. Because it is located in the wood with no roof. I have a few different designs of my Raku kilns and could send you information of my Raku kiln. Is it O.K. to use your correspondence for my blog? As I have received many similar questions for building of my kilns and also would like to see what other potters do with my kiln design, I have decided to use my blog for wood-firing enthusiasts who are thinking about building their own. If you agree on this, I am happy and able to send you my diagrams, photos and related information. I assume that you are trying to build a Raku kiln for Patsy who is 84 this year. In the last mail, you mentioned that an underground kiln with the fire built on top. 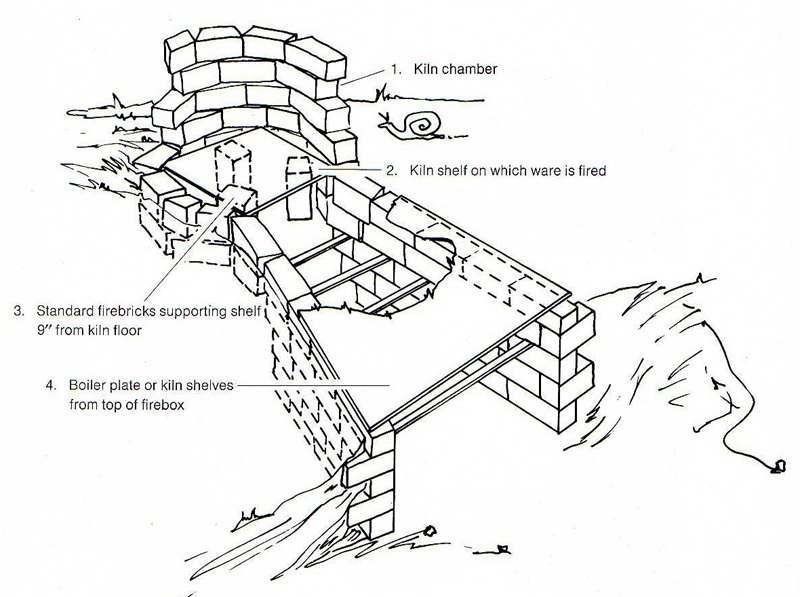 Apart from very primitive pit kiln firings, I have never built or seen such a kiln. My latest Raku kiln is built on a bank so I can fire it without bending myself too much. And the pots (mainly tea-bowls in my case) are loaded and unloaded from top. I understand that you would like to fire without an axe or chainsaw. Can you correct enough dry branches and twigs for Raku firing? You also wrote you do not have kiln bricks to build a small raku kiln at the moment. Have you ever consider making sun-dried bricks from local clay yourself or collecting old handmade house bricks? They work perfectly for Raku and cost you far less. Have you built wood firing kilns before? Could you tell me what is your part in this Raku kiln building project? Please tell me about Patsy and yourself more. Then I should be able to give you information you need. I hope Patsy has a couple of assistants to help and work with her. Patsy Morton is a ceramicist who lives in Central Australia. http://www.artmajeur.com/index.php?go=artworks/list_artworks&list_artist_id=169168 She’s 84, but she prefers to live on her outstation – small community – in the desert, instead of living in town in Alice Springs. I’m a friend. I work as a solar engineer at an appropriate technology centre in Alice Springs. I am hoping to organise the project – find a plan for a kiln that will work (with someone’s help), and collect the materials. When I know what we’re doing, I’ll probably be able to find some people interested in helping. Having an underground kiln was Patsy’s idea – I’m not sure if she’s seen one before. I don’t understand how it could get hot enough if it was just heated from the top. Basically we would like a really simple plan that we can build, and that is likely to work! That’s the main thing. There is a lot of wood out bush – and often its broken pretty small by nature – our trees don’t grow very tall out here in the desert. Patsy will probably be doing most of the work collecting firewood herself – it’s hard to stop her. Your work is really beautiful, and so are your kilns. I have built many anagama and raku kins. Unfortunately I have never put my kiln plans on paper as I just build kilns from available materials and simple measurement. I just do a few simple scribbles and drawings with measurement which means nothing to anyone else but me. Most of main ideas are still in my head. I change many details as I progress my work on building the kiln. 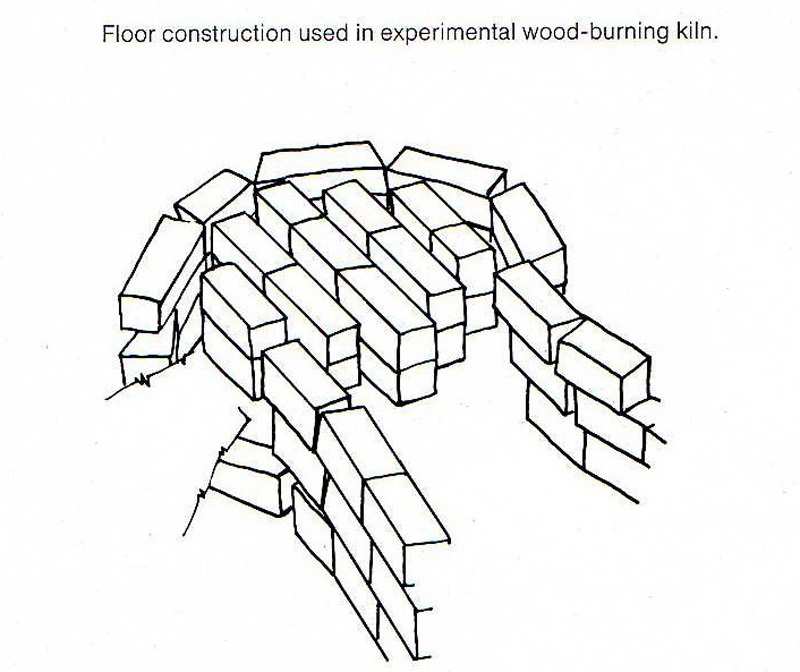 Kiln constructiton is only needed to put your ideas (wisdom) into practice. All kilns are slightly different from others. If you are planning to build a very first Raku kiln by yourself. You should first find a couple of good books on Raku pottery to guide you. ‘RAKU Art & Technique (Hal Riegger) 1970 Litton Educational Publishing’ and ‘RAKU HANDBOOK (John Dickerson) 1972’ are most recommendable. Those are hard to come by. Why don’t you try your local libraries or your potter friends? Even if you have a good kiln designs, you may end up with a quite different kiln from your original pictures in mind. But That’s alright and you may find it works for you. I have no secrecy with my kiln building and I will give my best advice if you contact me through this Anagamaina. How such a beautiful post Gas, so happy to know you are helping such wonderful women in the bush !!! I would be most interested in building a raku kiln from your plans If the offer still open to all enthusiasts. Thanks for your comment and your suggestion about extending my posts. To be honest, most people sent me emails trying to get some free information out of me. For instance, I was asked to help Patsy Morton (aborginal potter) with information of Raku kiln building. And I gave her something useful she could try and I only asked her to send me a photo of her new Raku kiln. But I heard nothing from her ever since. I am not a teacher or a tutor at a college and have no intention of giving full lectures. They may like a success at a first attempt. All I can say to them is this. ‘Only a failure gives you a good lesson.’ Then I may hear smoe good questions. I have recently been receiving new entries on your blog page. I am sorry if people don’t get back to you after you have helped them with their questions. I really appreciate that you and others like you post so much useful information on their blogs and web pages. It is so generous given the fact that we are all so busy with our day to day lives. Thank you so much for this and all the other informations and sharings that you have given to us the whole interconnected society! Hi! Joan, Thank you for your kind words. I am already fully occupied with building my latest Anagama and preparing tons of firewood for 10 day firing this spring, plus 2 websites (‘www.anagama.co.uk’ and ‘www.kamataki-aid.com’) and 2 blogs (Anagama Blog and Ganbare! Kamataki Blog). That’s all I can manage. Still I do my best trying to respond any posts with good pottery enthusiasm. Hi there, after reading this amazing article i am too glad to share my knowledge here with colleagues. written via him as no one else know such particular approximately my difficulty.